If you want to learn how to oil paint, here are some of the oil painting techniques which you will need to learn. 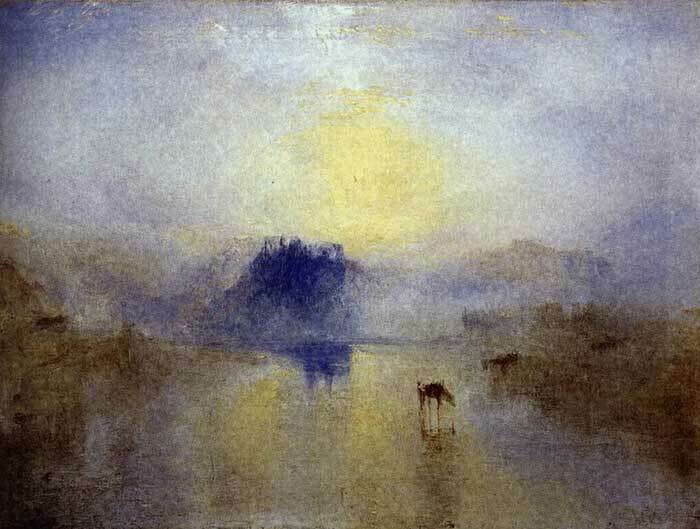 You will not need to use all these techniques in your paintings, but it is important to at least have an awareness of them. Scumbling is the technique of applying a very thin amount of paint using a stiff bristled brush in a kind of broken glaze. The result is a textured effect which leaves some of the underpainting exposed. Scumbling is a dry-brush technique where little or no additional medium is used. Scumbling is different to glazing in that you do not want a smooth application of paint over the entire surface. You want a broken application of paint which leaves areas exposed. Alla prima, or wet on wet, refers to a direct style of painting where the paint is applied without letting earlier layers dry. 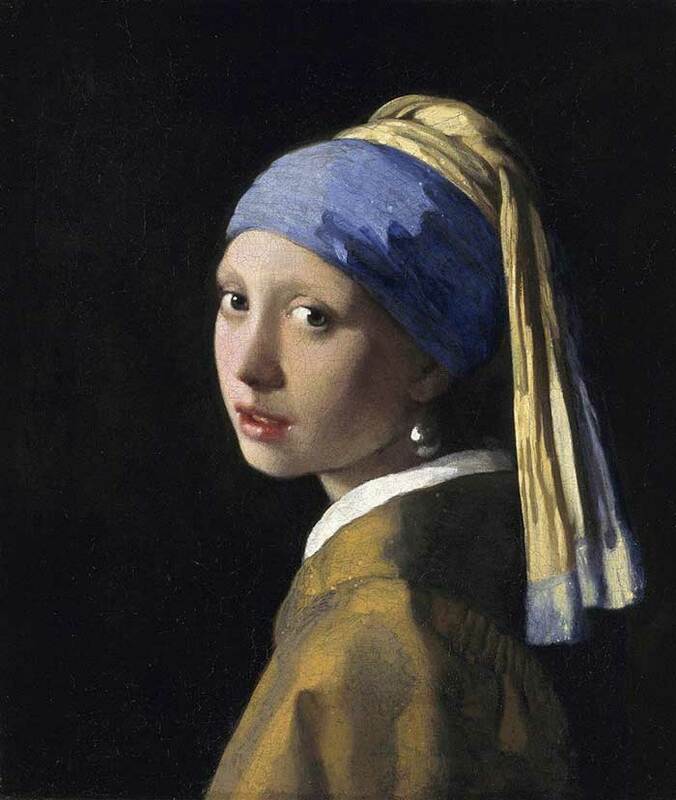 Artists using this technique can finish paintings often in as little as a single session. This technique differs from the more traditional method of painting layer on layer, allowing the paint to dry in between each layer. Artists would often build up many layers (sometimes over 50) before deeming the painting complete. Obviously, this was a very time-consuming method of painting, as oil paint can take anywhere from a few days to some months before being completely dry. Alla prima painting was practiced by many of the impressionist masters, as it allowed them to capture the elusive light as quickly as possible. Some of the famous artists who painted alla prima were John Singer Sargent, Claude Monet, Vincent van Gogh and Joaquín Sorolla. A glaze is a thin, semi-transparent layer of paint. Glazing is a popular technique in oil painting, where glazes are applied on top of an opaque layer of paint which has been allowed to dry. 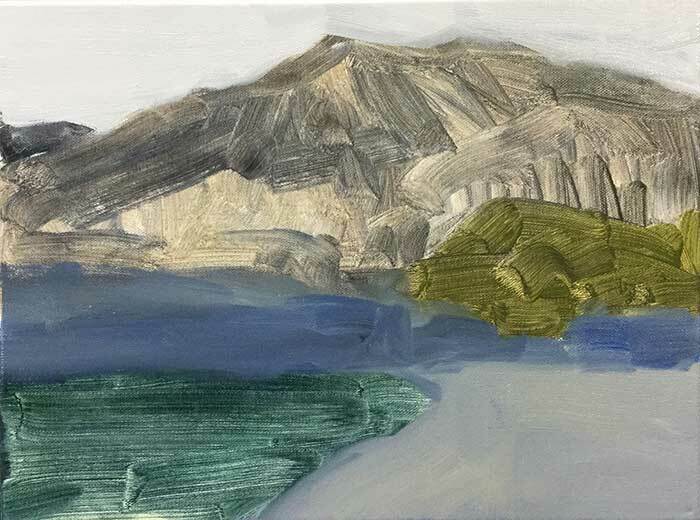 The general practice is to create a monochrome underpainting using opaque colors and then gradually build up glazes on top, allowing each layer to dry in-between. This practice is obviously very time consuming due to the slow drying time of oil paint. Depending on how many glazes are used, the time it takes to create an oil painting using this method could be anywhere from a few weeks to years. When glazing, it is best to use paints which have more of a translucent quality. White, for example, is not great for glazing as it is very opaque. When there are multiple layers of glazes, the colors optically blend as if they were all combined, without the pigments actually mixing. This creates interesting effects which are very effective for portrait painting. As there are many layers of paint, care needs to be taken in relation to the fat over lean rule. Each subsequent layer of paint should have more oil than the prior layer to avoid cracking in the paint. Many painters use both thin glazes and thick, impasto brushwork to create variance in the painting. The impasto areas would appear pushed forward in the painting compared to the softer glazes. Chiaroscuro is Italian for "light dark". 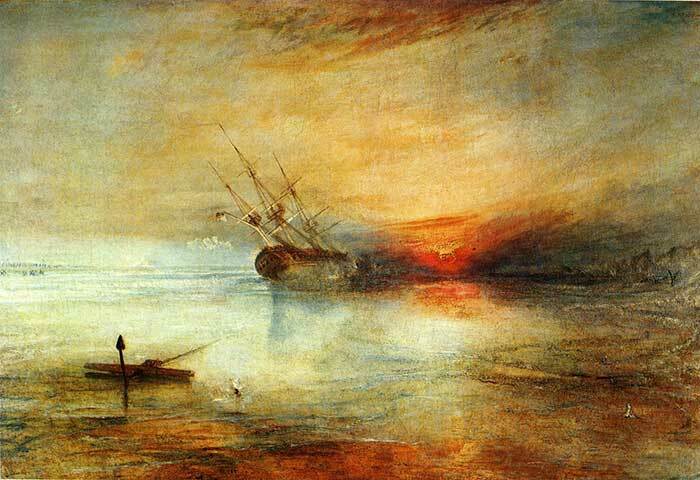 In drawing and painting, it refers to the balance and structure of light and dark in the artwork. Chiaroscuro originated from the Renaissance period where artists would create strong contrasts between light and dark to render three-dimensional forms to dramatic effect. 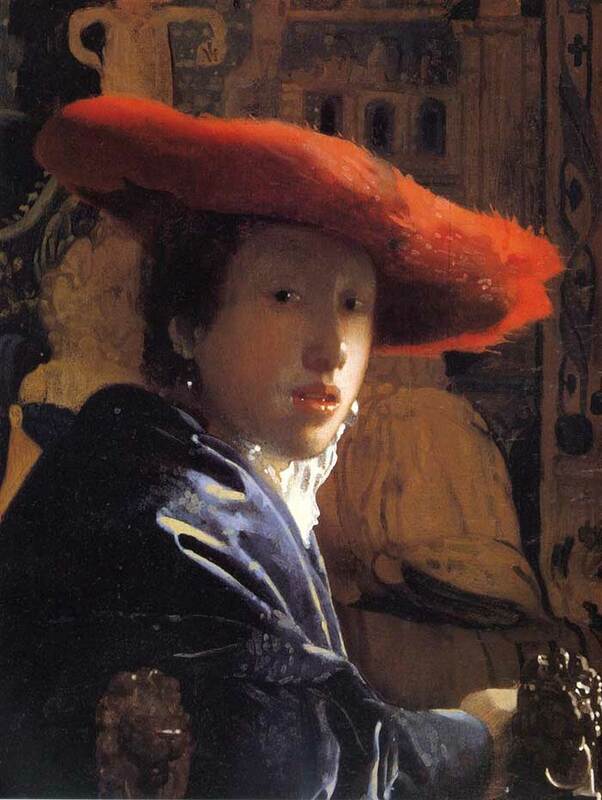 Generally, chiaroscuro is only mentioned of artworks with a dominant contrast between light and dark. Some of the prominent artists associated with chiaroscuro are Ugo da Carpi (c. 1455–c.1523), Giovanni Baglione (1566–1643), Michelangelo Merisi da Caravaggio (1573–1610) and Rembrandt Harmenszoon van Rijn I (1606-1669). Caravaggio went on to become a figurehead in the Tenebrism art movement, where chiaroscuro was used to dramatic effect with violent contrasts between light and dark with a spotlight effect. 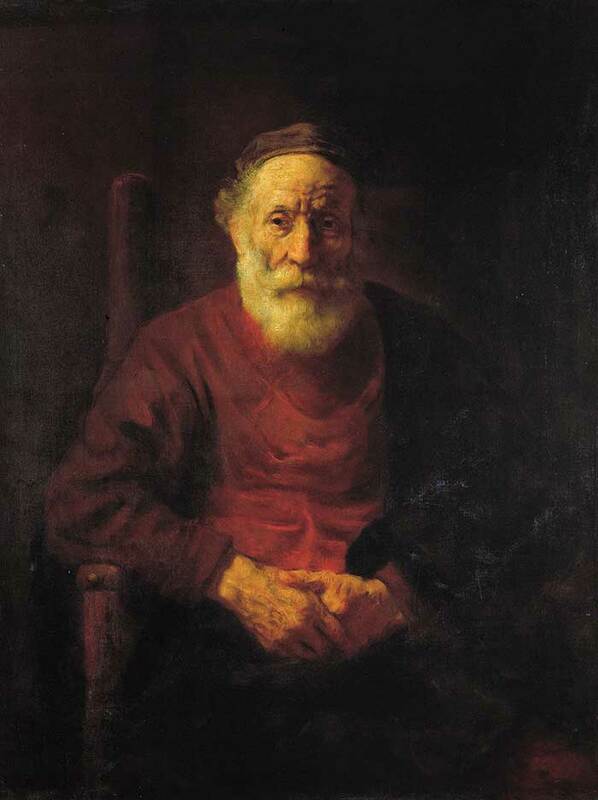 Rembrandt also used this technique to create many dramatic portraits. Impasto is generally used in reference to paint which is applied in a thick and bold fashion with clearly visible brushwork, but it can also refer to the more subtle textures created by delicate brushwork on a more smooth surface. By using an impasto technique you can add another dimension to your painting by adding increased texture to areas of significance. This can enhance the illusion of a three-dimensional representation. The impasto area of paint will create areas of actual shadow on the painting depending on the light source. This gives another element to your painting and can really add some depth depending on how it is used. The protruding areas of paint will be more visible from side angles. You could use the impasto technique to give the illusion of distance, with close areas being more built up and distant areas being more smooth and soft. By using impasto brushwork, you can help guide the viewer as you please around the painting using directional lines. These do not have to be obvious and could be something as simple as subtle lines in trees directed towards your focal point. 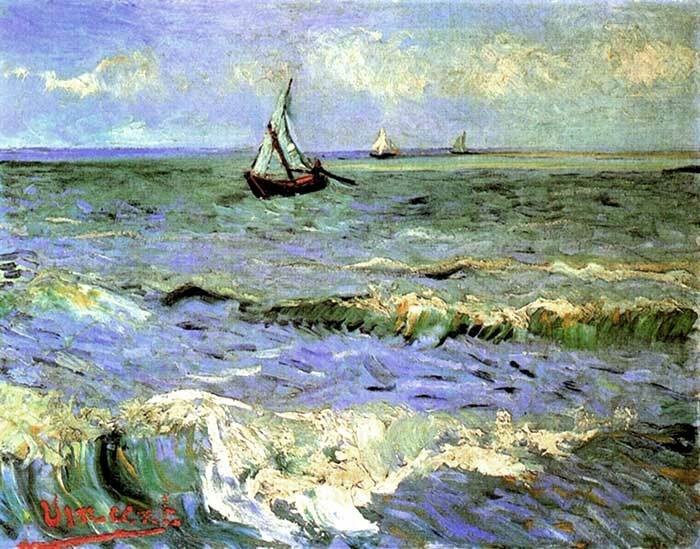 One artist who is famous for using a very impasto technique is Vincent van Gogh. His brushwork was extremely dominant in his paintings and a real signature of his work. His brushwork gives a sense of activity and movement in his paintings. 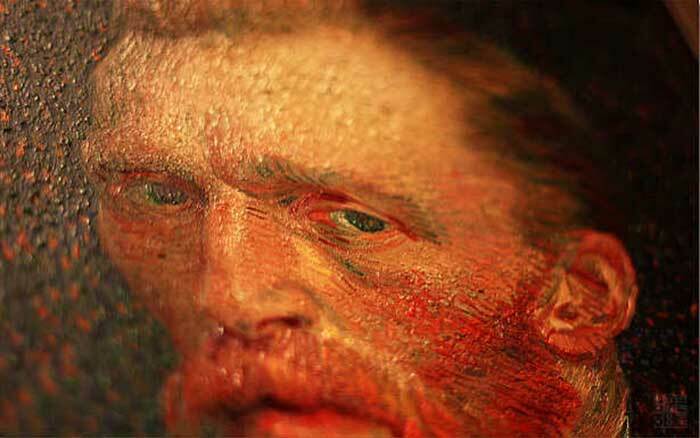 You can see in the close-up of one of van Gogh's paintings below how he builds up a significant amount of paint on the canvas, even in the background. 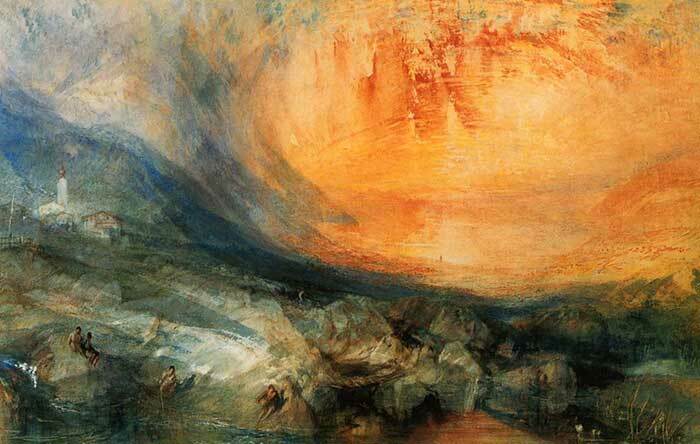 This gives his paintings a very bold and dramatic effect. How do you use an impasto technique? Well simple really. You just make sure you load up your brush with lots of paint and spread it liberally on the canvas. Alternatively, the palette knife is a fantastic tool for making thick strokes of color unmatched by the paintbrush. Grisaille is a monochrome painting executed entirely in different shades of gray or a grayish tone. 'Gris' is a French term for gray. Paintings in a brown scale are referred to as brunaille and paintings in a green scale are referred to as verdaille. 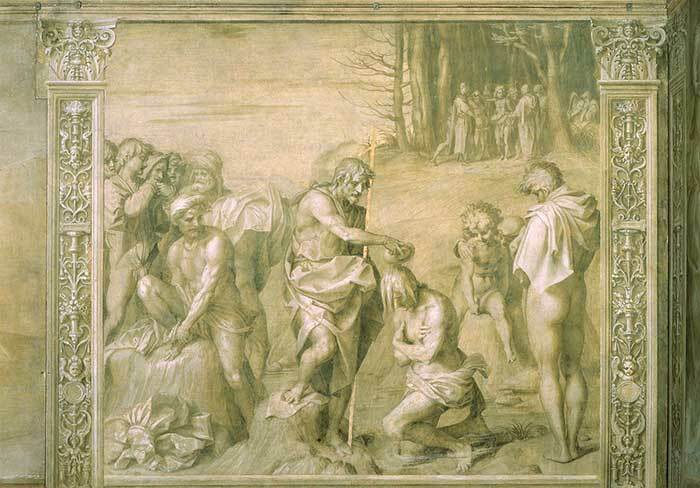 Grisaille was typically used during the Renaissance period as a stand-alone painting technique to imitate sculpture. It can also be used as a preliminary painting stage, where the grisaille forms an underpainting which can then be glazed over. Currently, with the prominence of painting alla prima, the grisaille method is not commonly practiced. Blocking in refers to an initial painting process of blocking in the general colors and shapes on your canvas. The purpose of blocking in is to lay down the general composition and color harmony without having to worry about the tedious details. You can really get a feel for where the painting is going with this technique. Generally, very large brushes and thinned paint are used for this. The end result of blocking in will be a no-frills painting - what you would see if you squint. From there, you can start to add details and make any adjustments. For blocking in you will usually start with toned down versions of the main color you are blocking in. You can then build up the saturation of the color as needed later in the painting. If you block in the colors with too much saturation, the painting could be overwhelming and you would spend the rest of your painting time trying to tone it down. Sometimes, much of the blocked in area is left exposed in the finished painting. 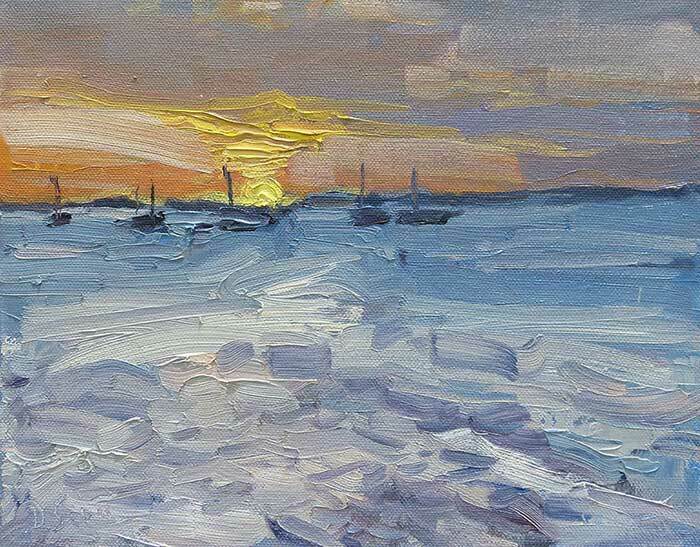 Blocking in is a very popular technique for plein air painting as it allows you to cover the canvas very quickly with the general layout and color harmony. Blending is a painting technique where two different colors are slightly mixed together when wet, giving a smooth transition from one color to the next. The transition color will be a product of the two blended colors (i.e if you are blending blue into a yellow, the transition color will be a green). Blending requires the paint to be wet, which is a problem when painting with acrylics as the paint tends to dry extremely fast. 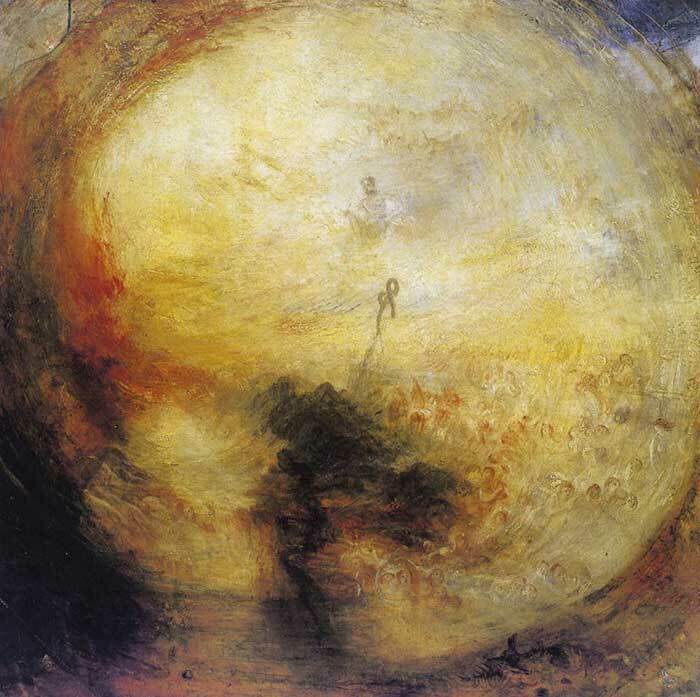 The blending technique is much more popular with oil painting, as the paint stays wet and versatile for much longer. Blending is probably one of the most overused techniques by beginner painters, as they aim to create a very smooth and 'realistic' painting. However, too much blending can easily result in the painting having a very plastic and overly-refined appearance. Blending is much more effective when used sparingly when necessary. Brush strokes and colors should otherwise be left unaltered. Whilst up close the painting may look rough, as one steps back from the painting all the brush strokes and broken colors will optically merge and create the illusion of form. Do not make the mistake of trying to make the painting look perfect from up close. 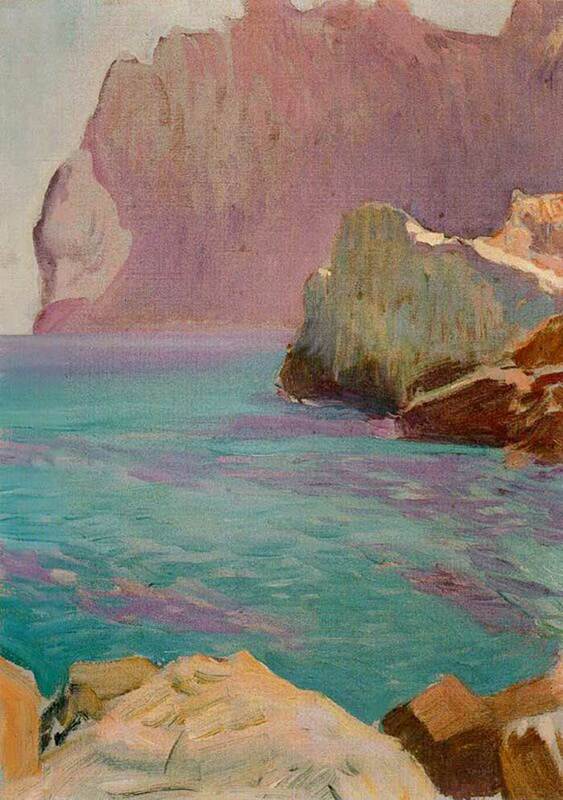 If you are not sure what I mean, then take a look at some of John Singer Sargent's paintings. Up close, they seem like a mess of bold strokes and colors. But as you step back, the painting all comes together. Oiling out is a technique used in oil painting when the oil sinks into the lower layers of a painting, leaving the top layers lacking vitality. Often sinking occurs in patches, rather than over the whole painting due to varied drying times of the paints used (some colors dry faster than others). Oiling out is a not a technique which beginners should be worried about. It is more of an advanced technique and is not a necessary part of learning how to paint. It is however a useful technique once one becomes more advanced with oils. 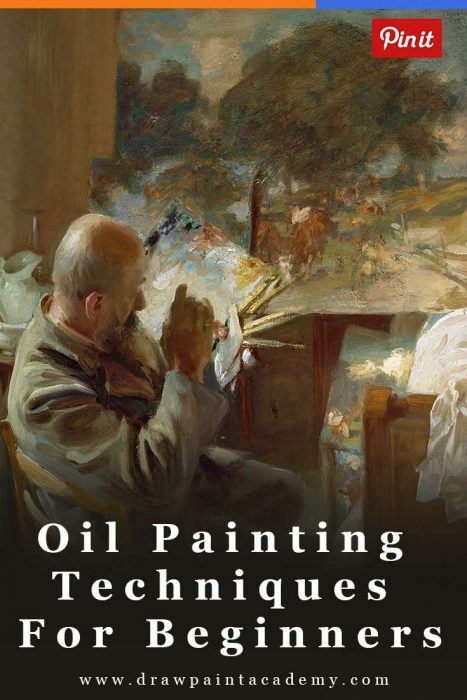 In practice, oiling out would involve dabbing a very thin amount of artist quality oil medium over the areas of the painting which have sunk in using a fine cloth. This should only be done once the painting is dry to touch, as you do not want any mixing of the colors. Thanks for the lesson, Dan, I am always picking up information from your blogs! Way to go, much appreciated. Again you have taught me something new and useful! This keeps me motivated! Glad to hear Deborah! Keep it up. Greatly appreciate your generous sharing. Enjoy reading your blog.